Halloween may be over, but many of the great holiday gifts around the grid are still out there waiting to be discovered. It’s never too early to increase next year’s holiday wardrobe! Now, on to today’s outfit. 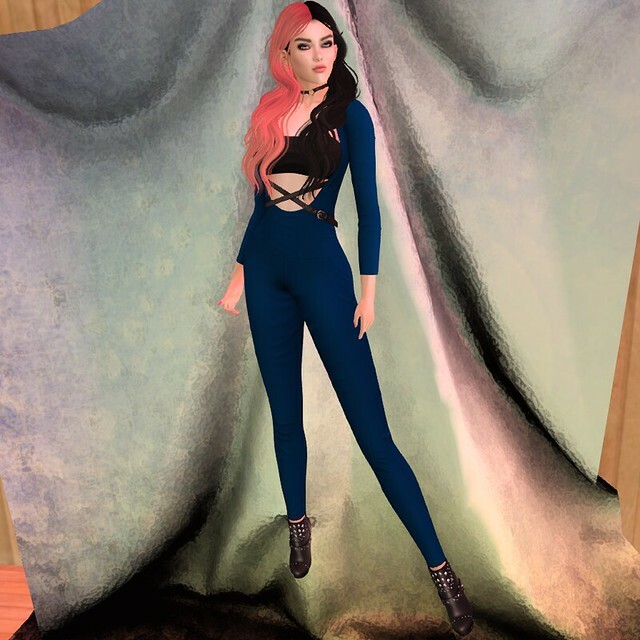 This stylish catsuit is one of several group gifts available at Justice. 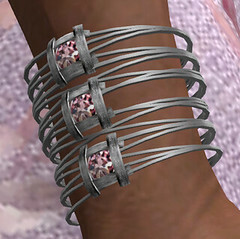 It is sized for Maitreya, Slink, Belleza, and TMP bodies. The Justice group is free to join. Also the group gifts are free, however delivery requires payment of 1 Linden that is then reimbursed within seconds. This catsuit is styled so nicely it looks good from all angles. 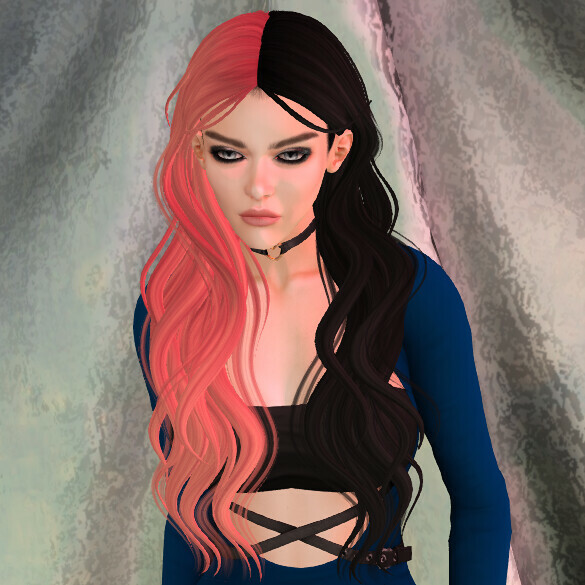 This two-tone hair is a subscriber Halloween gift from Wasabi Hair, so don’t wait too long to pickup yours. The Sweet Dreams choker is a nice little group gift at Osmia. It comes in 5 colors, and is easy to resize. Hurry over to Hilly Haalan to pickup these Goth boots. They are a limited time Halloween gift, so time is of the essence.